To be the best in the world, an individual has to be exceptional in every sense and above the rest in the respective field. In football, more than the strikers and defenders, a goalkeeper is not only the last and final line of defense, but also the team’s ultimate saviour. A team is as good as its goalkeeper. In spite of football being a team sport, it is the efficient goalkeeper, which makes all the difference between a winning or losing team. 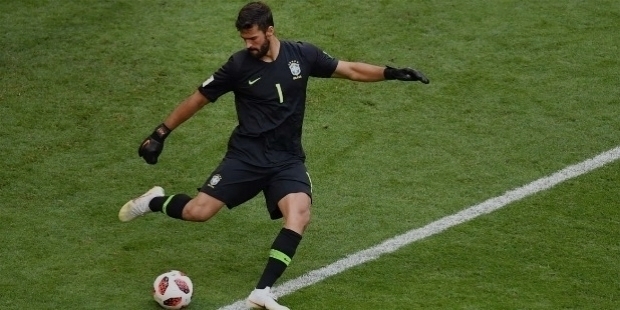 Brazilian goalkeeper Alisson is considered as world’s best goalkeeper in the present scenario. Brazil lost the chance to lift the World Cup in Russia. 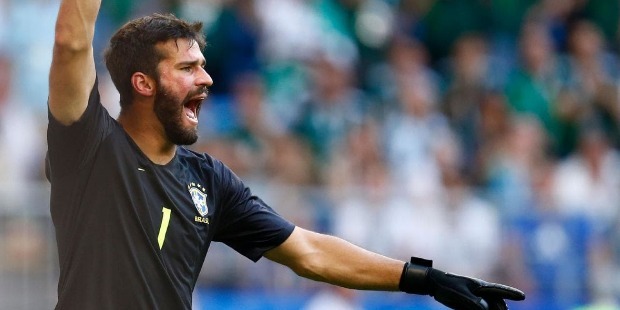 However, goalkeeper Alisson has smashed the world record to become the world’s most expensive goalkeeper. Liverpool signed Alisson for an astounding £66.9m / € 72.5 millions transfer fee from AS Roma. It is the highest fee for a goalkeeper. He is considered as a sweeper-keeper in the modern mould. Highly influenced by World’s No. 1 goalkeeper Manuel Peter Neuer, the German sweeper-keeper, Alisson has model himself in many ways. Neuer’s unique playing style and speed when rushing off his line to anticipate opponents is unmatched. His quick reflexes, excellent shot-stopping abilities, strength, long throwing range, command of his area, and accurate control and distribution of the ball is simply outstanding. Alisson comes from a family of goalkeeper. His great-grandfather and father were goalkeepers. His elder brother plays as a goalkeeper. It is interesting to note that even Alisson’s mother keeps the goal in handball. The genetic influence has certainly made him an excellent keeper to achieve the highest status as being Liverpool’s most expensive new goalkeeper. “I am really happy! It is a dream come true, to wear such a prestigious shirt for a Club of this size, which is used to always winning. 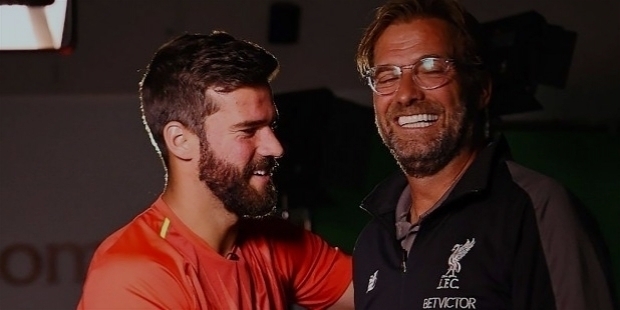 In terms of my life and my career, it is a huge step for me being part of Liverpool Club and this family,” revealed Alisson. Juergen Klopp, Liverpool’s Manager stated, “The opportunity to sign ‘one of the world’s best goalkeepers’ was too good, to turn down. Alisson Ramses Becker was born in Novo, Hamburgo, Rio Grande do Sul, Brazil on the 2nd of October 1992. He is popularly known as ‘Alisson’ in the circuit. It is interesting to note that, he kept the goal as a kid to be in his elder brother Muriel’s friends. Being younger by nearly five years, he was unable to match others in the outfield. So he became the goalkeeper. A passionate sportsman, Alisson had turned down offers of paid modelling work during his younger years. His main focus was football. At the tender age of 10, Alisson joined Internacional’s Academy in 2002. 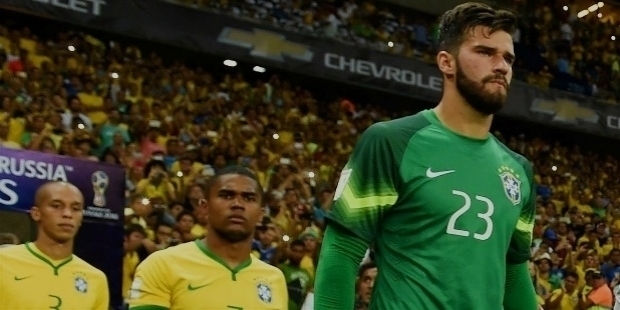 Alisson’s journey of success commenced at the Internacional’s Academy. He kept honing his skills with each match to progress through the youth set-up. He became a regular with the Under-23 side. 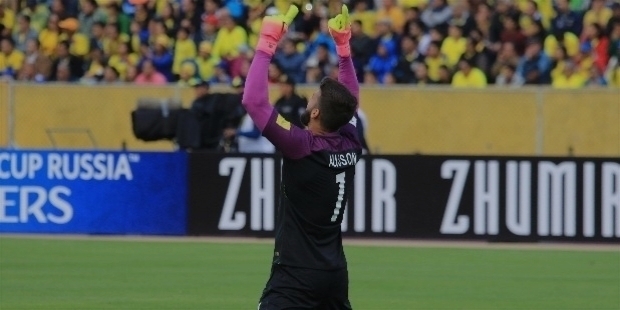 On the 17th of February 2013, Alisson made his senior debut against Cruzeiro-RS in the Campeonato Gaucho Championship. The match ended in a 1–1 draw. 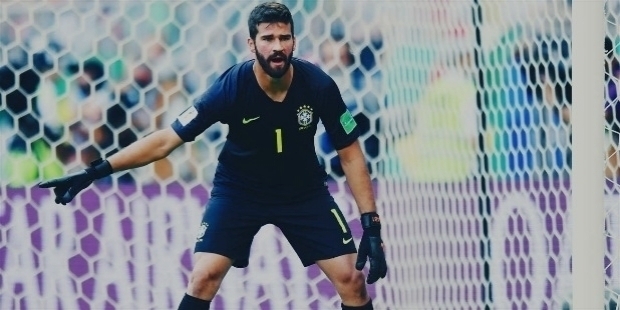 On the 25th of August 2013, Alisson’s Série A debut was against Goias. The match ended in a 3–3 home draw. 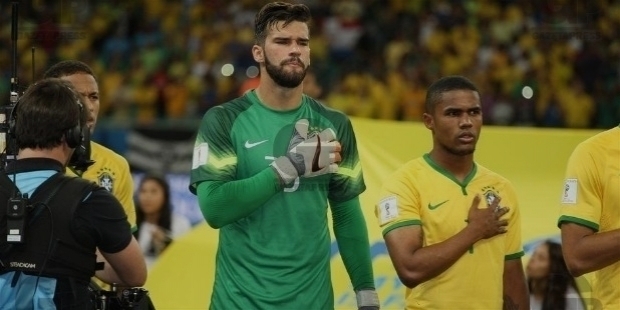 Alisson was competing for the second choice with Agenor as the backup to Muriel, his elder brother. He appeared in 6 games. The following year, Brazilian legend Dida joined Internacional from Gremio. Alisson had to compete with Dida. In October 2014, Alisson earned a starting berth and ended the year with 11 league appearances. In 2015, Alisson was an undisputed starter and made 57 appearances across all competitions. Alisson signed a pre-contract with Italian club Roma on the 4th of February 2016, with a five-year deal for a €7.5 million fee. In the four long years Alisson with Internacional, he made 100 plus appearances across all competitions. In each Season, the Club went onto win the Campeonato Gaucho title. He kept his clean sheet in his last game for Internacional against Chapecoense in a 0–0 home draw. Alisson’s transfer to Roma was finally completed in July 2016. A month later, he made his debut against FC Porto in a 1–1 UEFA Champions League draw. 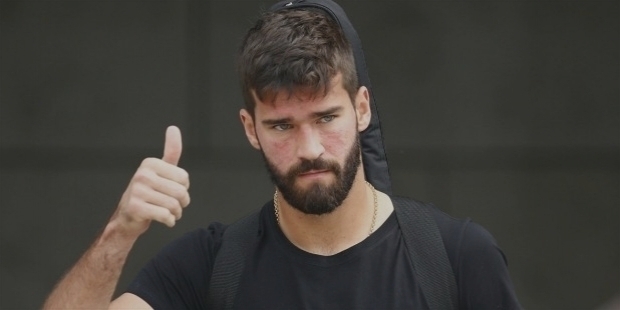 To polish his skills and experience, majority of the Season, Alisson spent as an understudy to Polish international goalkeeper Wojciech Szczesny. Across all competitions, he made just 15 appearances. Just when he was planning to leave Roma, Szczesny joined Juventus. The No. 1 jersey was finally Alisson’s. He made his Serie A debut against Atalanta in a 1–0 win. Later, Alisson made his first appearance in the Derby della Capitale in November against Lazio in a 2–1 win. Roma reached the semifinals in the UEFA Champions League because of Alisson’s superb performance. He was highly praised to have played a key role in Club’s campaign. At the Stadio Olimpico in the Champions League, Roma did not conceded a single goal until the semifinal match against Liverpool in a 4–2 win. However, Roma lost 7–6 on aggregate. Alisson was praised of his performance in the 2017–18 Season. 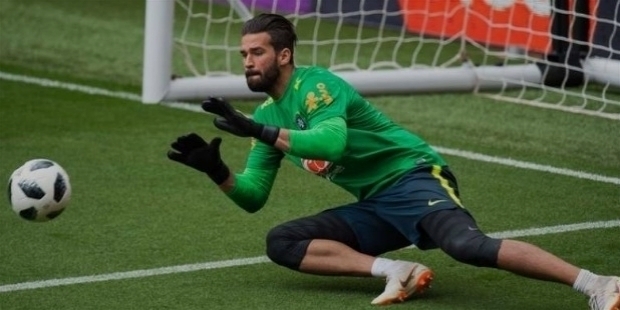 Alisson was named in Brazil Manager Tite's 23-man squad for the 2018 FIFA World Cup in Russia in May 2018. A month later, in a pre-World Cup friendly game against Croatia at Anfield he completed 90 minutes. Brazil won 2–0. On the 19th of July 2018, Liverpool signed Alisson for an outlandish fee of £66.8 million / €72.5 million. He became the most expensive goalkeeper of all time, surpassing the transfers of Ederson Moraes and Gianluigi Buffon. Alisson surpassed Gianluigi Buffon’s €53 million paid by Juventus way back in 2001.